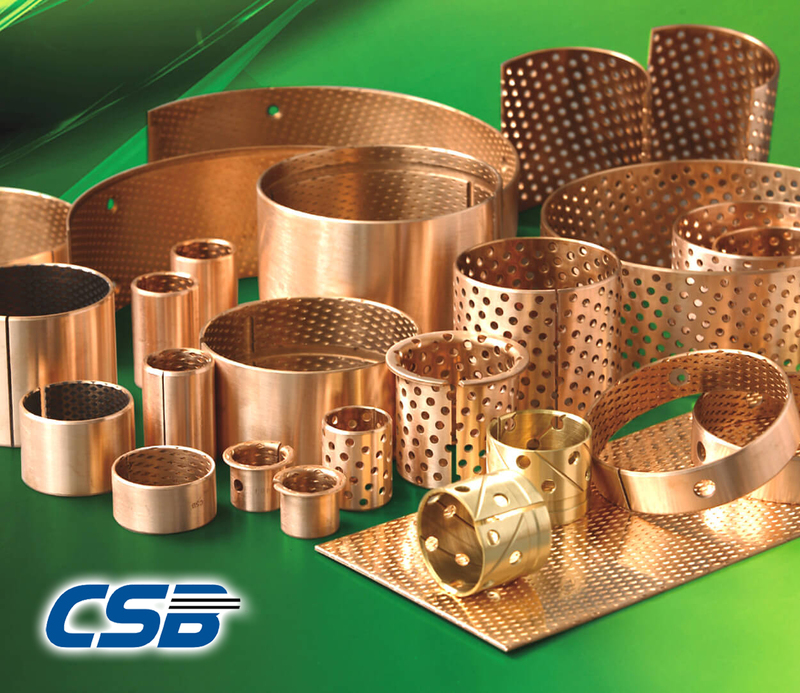 CSB with more than 20 years in the industry, has become a world-class manufacture of self-lubricating materials used in steel backed bronze bushings and many other types solid self-lubricating applications. 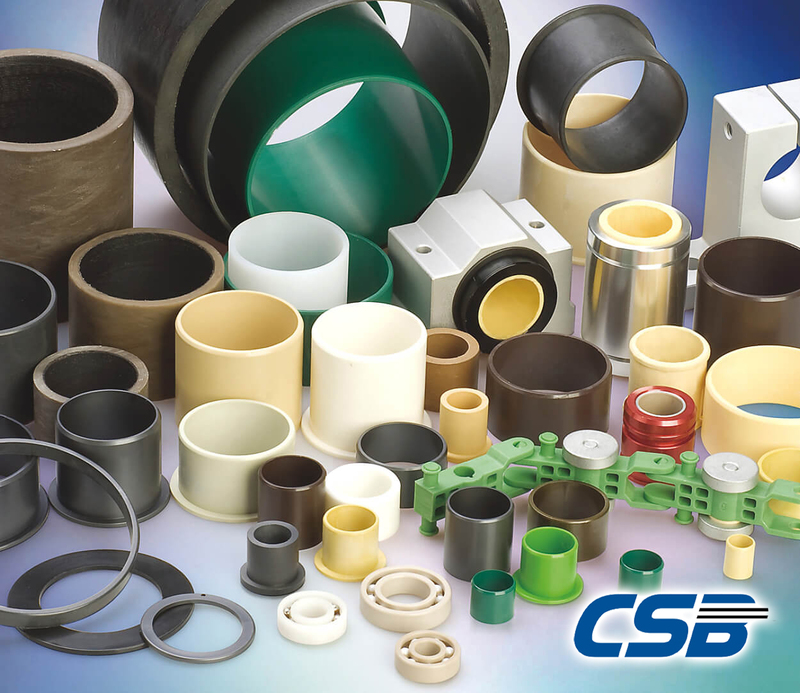 Our bushing and self-lubricated products have become recognized by major OEM’s internationally for high standards of quality and endurance, which has made CSB an important global strategic partner to many major OEM’s. 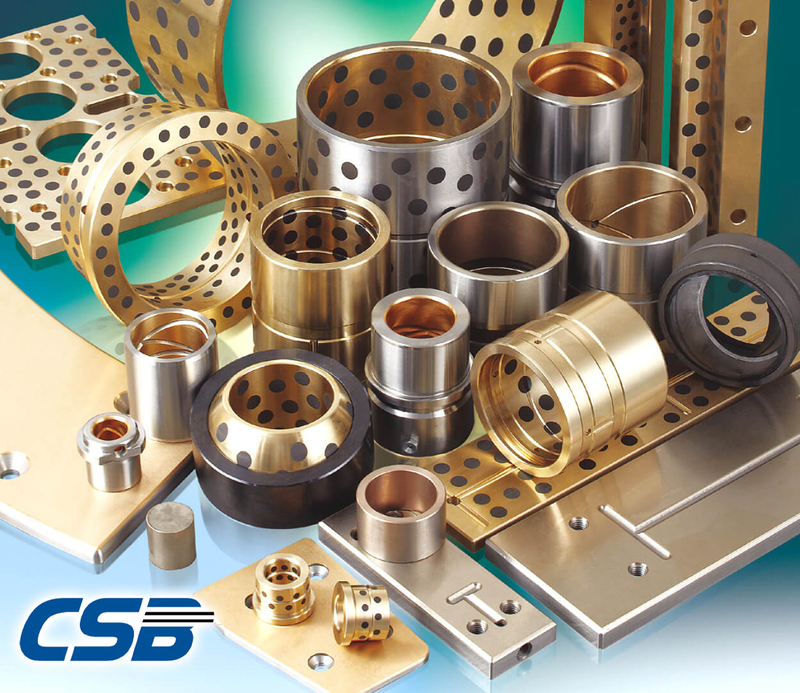 Our team here at CSB invites you to explore the many products we offer and welcomes any inquires you may have. We look forward to having the opportunity of working with your company! 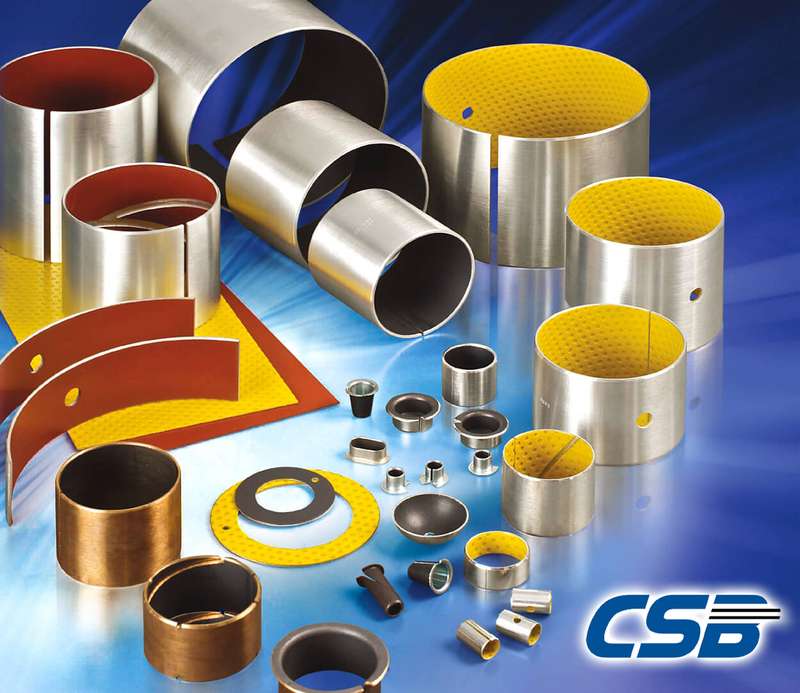 CSB is an innovative company, that is continually setting new standards in our industry and achieving a higher level of customer service as part of our continual improvement strategies. Since the company’s birth, there has been extraordinary growth, giving way to our many accomplishments in the past years. 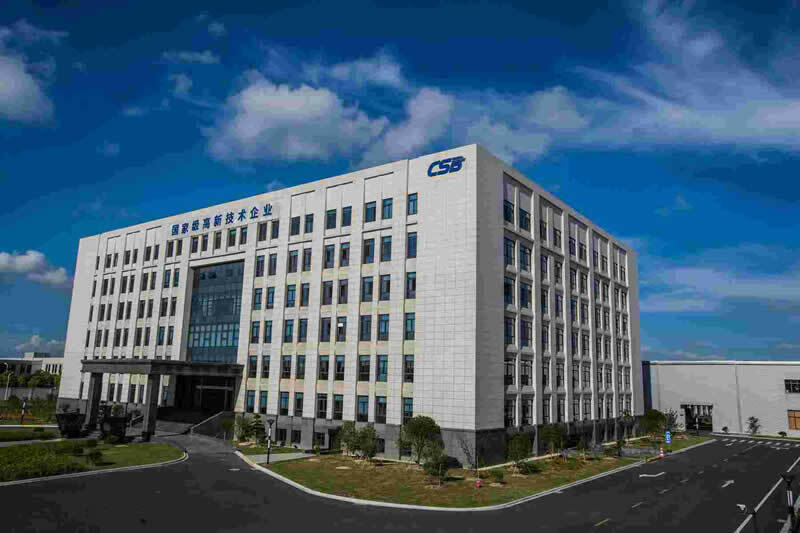 These achievements, have brought the company into today’s arena of top-level suppliers to international OEM customers. 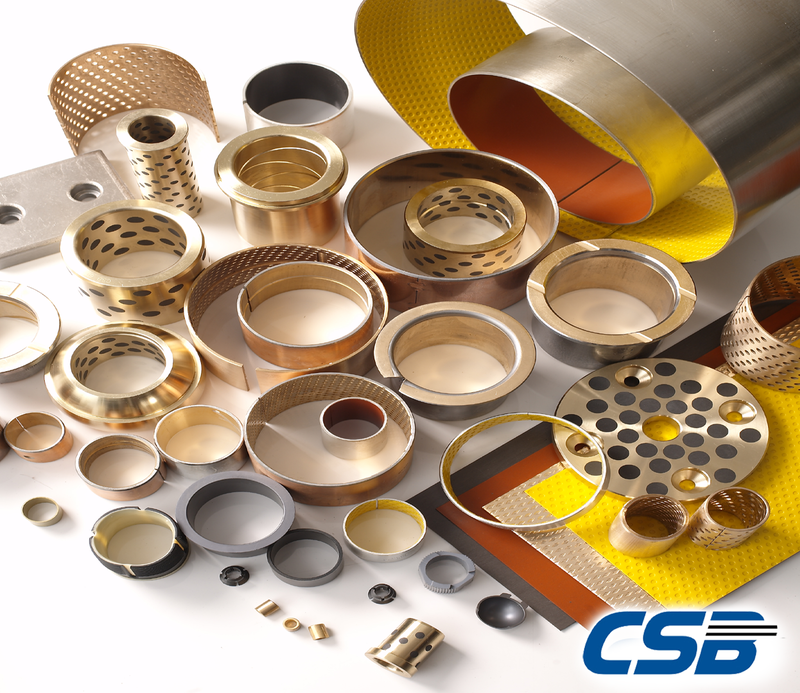 CSB Bushing materials and products have been used in many different applications around the world. 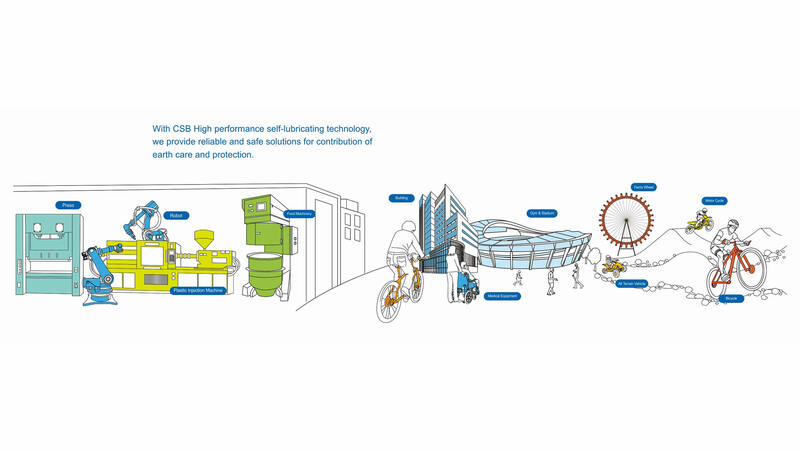 We take pride in the fact that our bi-metal and polymer materials have proven themselves in these applications making them key components to our customers who know they can rely on CSB quality. 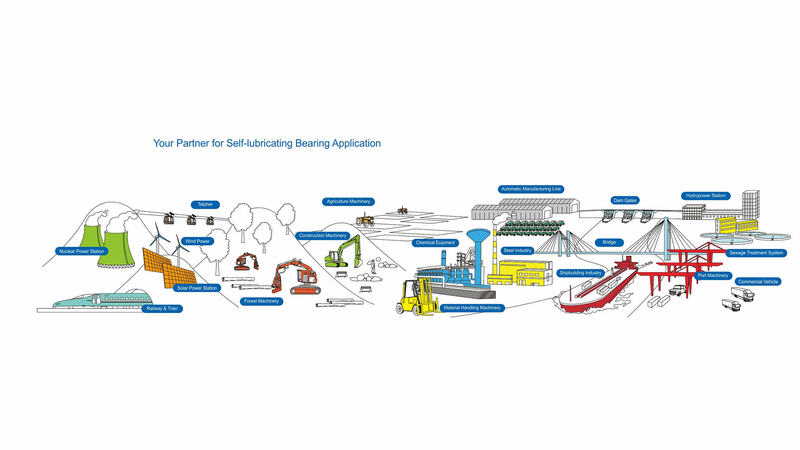 Our R&D teams are always open to explore new opportunities with our customers for new application and welcome the challenge. 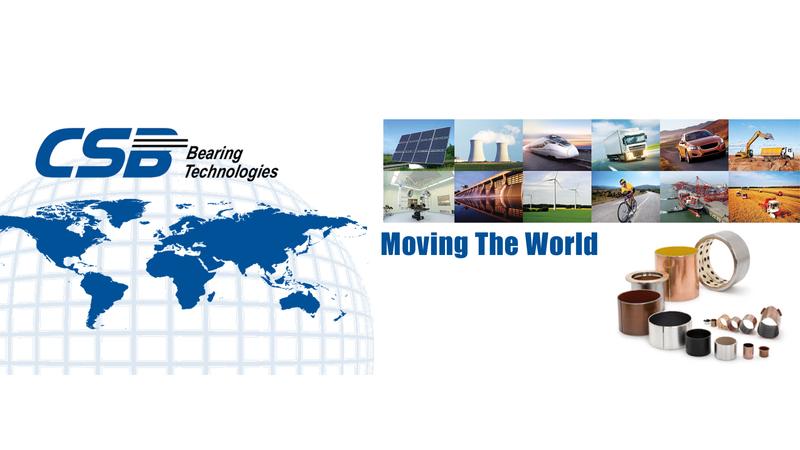 We welcome you to download our general products catalogue, with a wide range of self-lubricated bushing products along with the various bi-metal and polymer bearing bushing products that we offer. 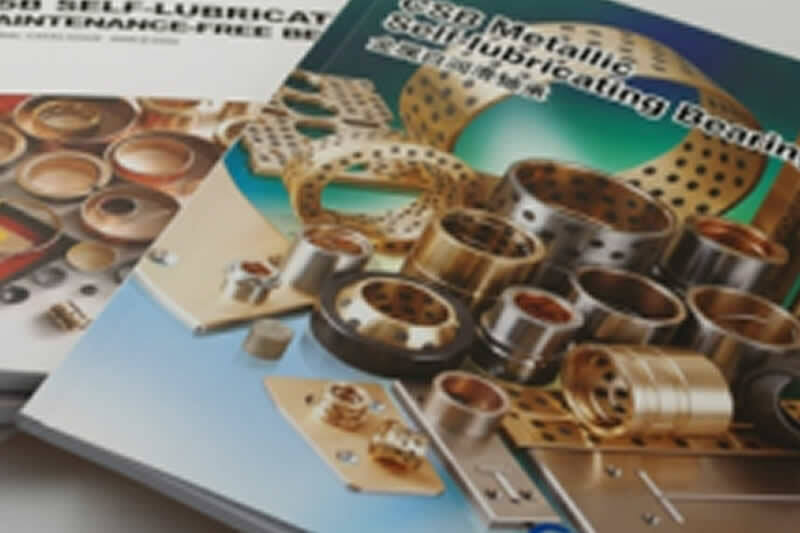 The catalogue will be a useful tool for your engineering team as reference for steel backed bi-metal bronze, PTFE, POM, cast and solid bronze materials as well as a design aid for your application. 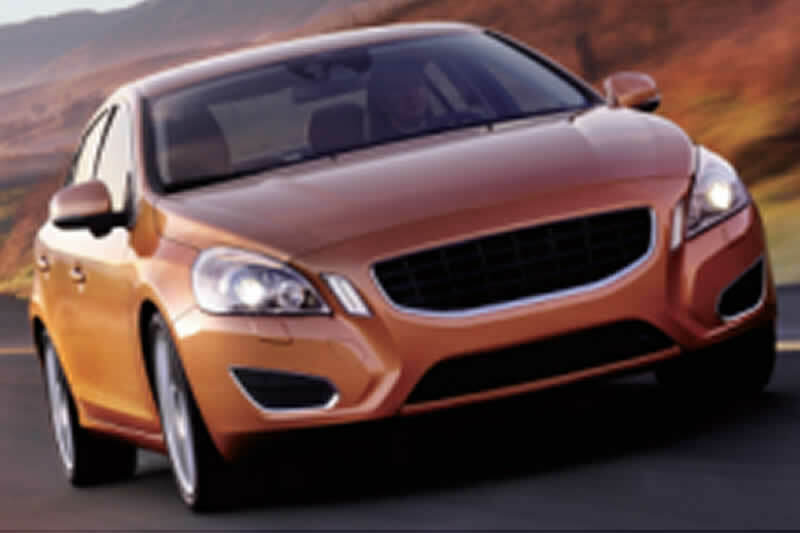 Our family of product has a wide rage of configurations and materials. We invite you to discover them and how we can become part of your global team. 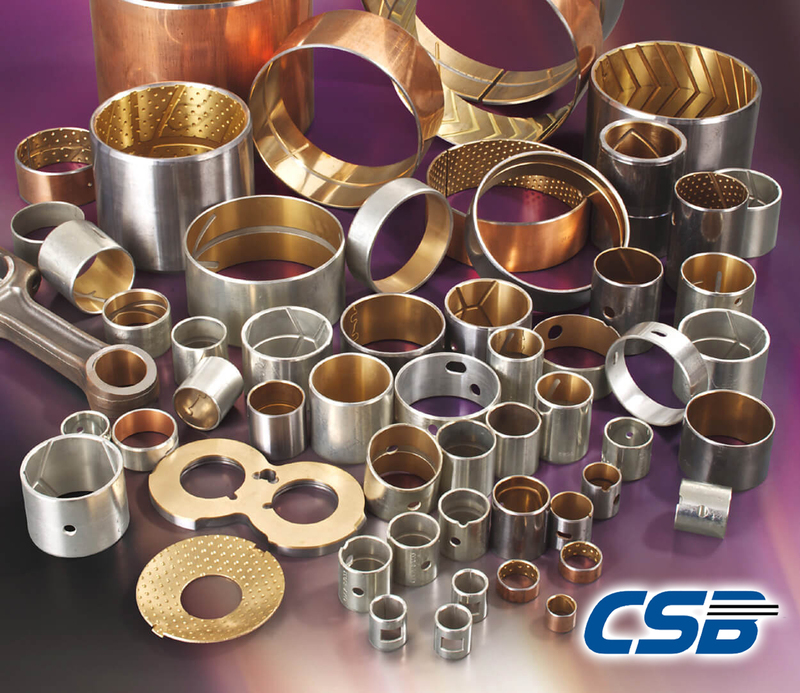 Bushing Materials: Steel backed Bronze Bi-Metal, Filament Wound, Plastic, PTFE, PEEK, POM, Aluminum Alloy, Bronze, Impregnated, Graphite Impregnated & plugged, Hardened Steel. Solid Bronze, Spherical.